Meet Jo, Alex, and Jayden. They're 11 and 12 years old. No one knows they're spies except Granny Pickle. Oh, and Lulu, but she's a pig, so she won't talk. 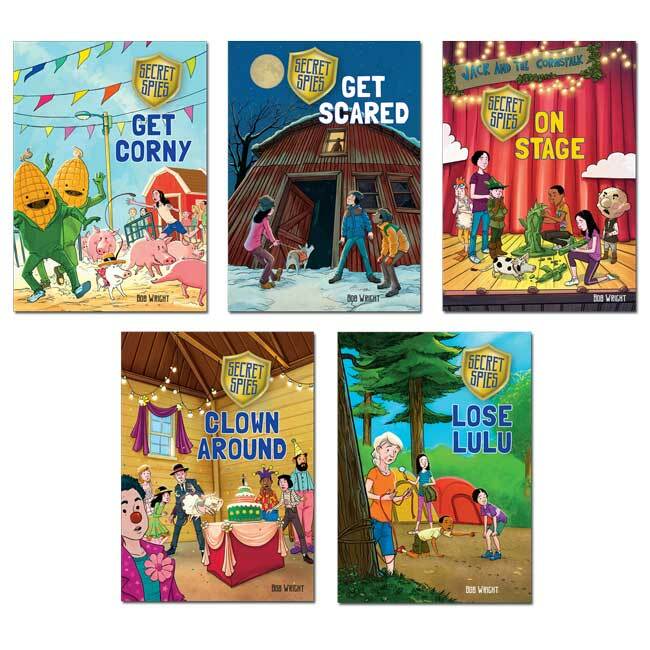 Join the Secret Spies as they solve cases at a haunted barn, a corn fair, a drama camp, a campground, and a clown wedding! 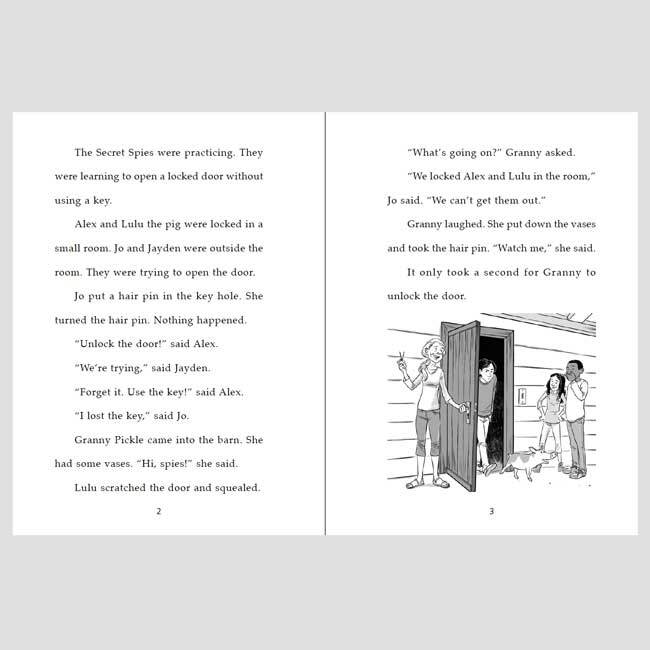 If you and your students liked the Leela and Ben Mysteries, you'll like the Secret Spies. There's no danger and no edgy themes, just a lot of light-hearted fun, written at one reading level above the Leela and Ben Mysteries. 95% of the words are from the 1,200 most commonly used words in the English language, with an emphasis on high-frequency and decodable words. Dangerous things are happening at the Corn Fair. Who is causing all the trouble? 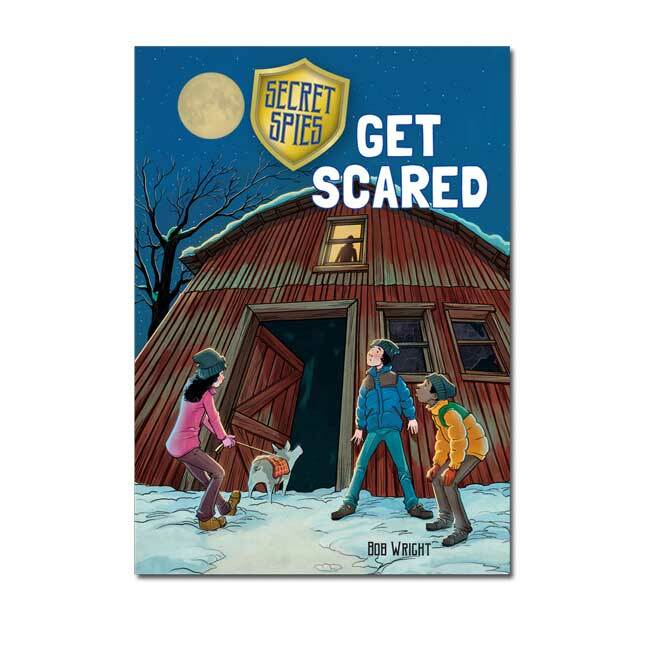 The Secret Spies have to find out before someone gets hurt! The Secret Spies think a clown wedding will be funny but it's not funny when someone starts stealing from the bride and groom! There are scary sounds and lights at an old barn at night. Is the barn haunted? And why is Granny Pickle acting so strange? How hard could it be to help little kids put on a play? 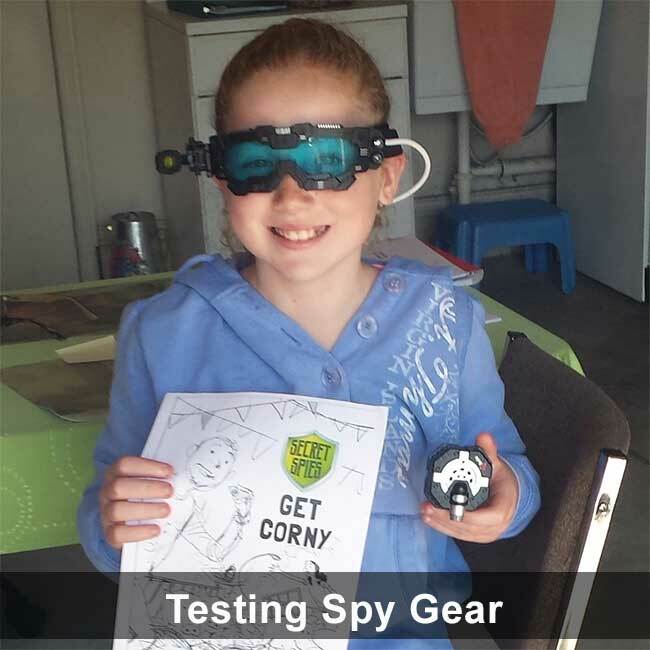 The Secret Spies find out when they go to Drama Kids Camp! The Secret Spies are happy that Lulu can camp with them. 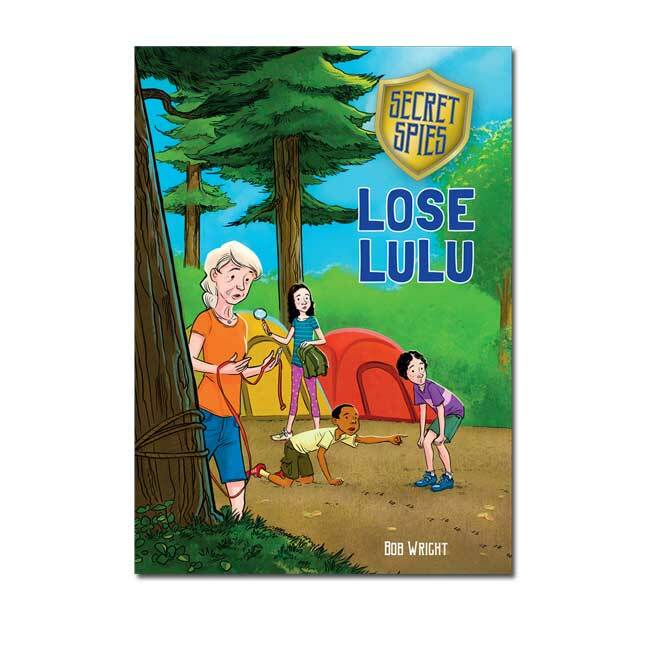 Then Lulu gets lost, and the Secret Spies must use their tracking skills! "This book is good. It's FUNNY!" The short chapters are a great introduction to young children wanting to read "big" books. The characters portray positive character traits (helpfulness, respectful). 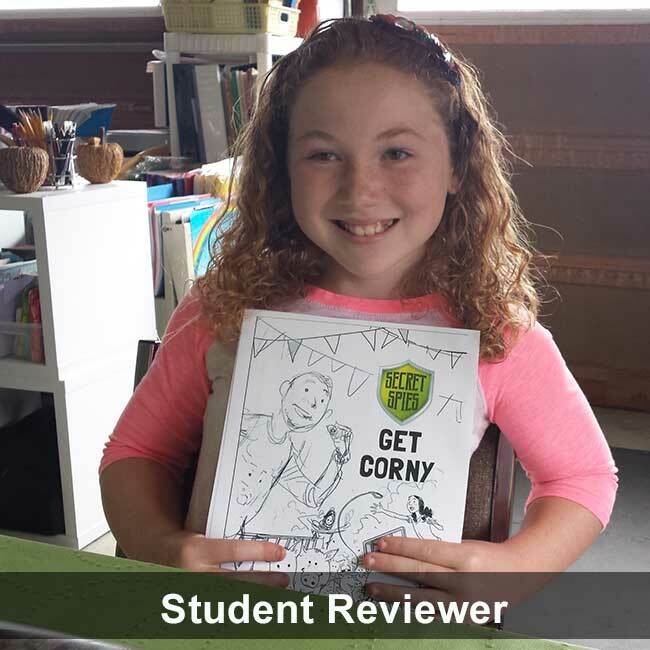 Readers engage in reading comprehension, comparing and contrasting, and the gathering and synthesizing of facts to solve the mysteries. 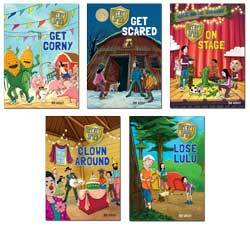 My 9-year old boy devoured these books, laughing and learning with each flip of the page!